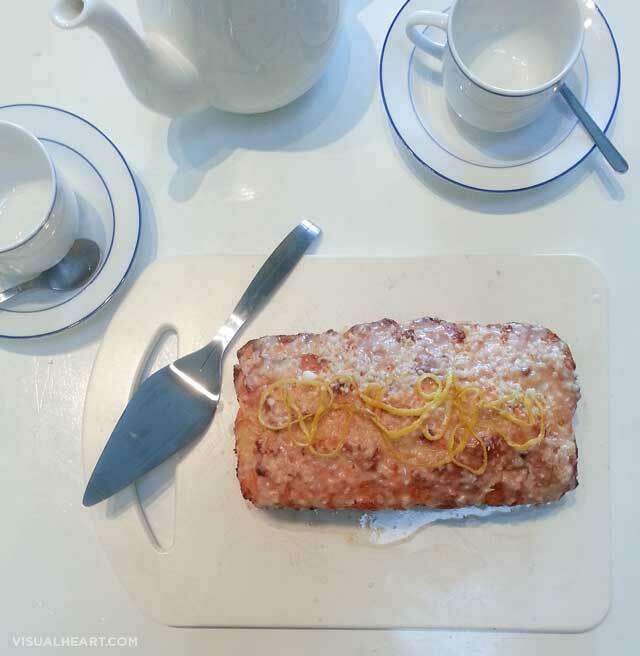 This recipe is a variation on the lemon loaf I posted a while ago. 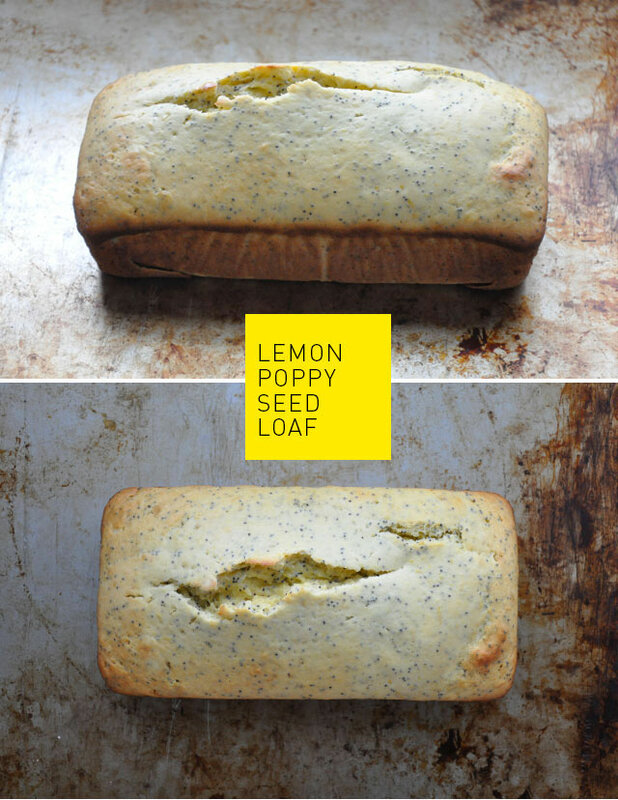 It’s pretty much the exact same recipe, adding poppy seeds. It’s got a wonderful subtle crunch and flavour. Grease an 8 ½ x 4 ¼ x 2 ½-inch loaf pan. Line the bottom with parchment paper if desired. 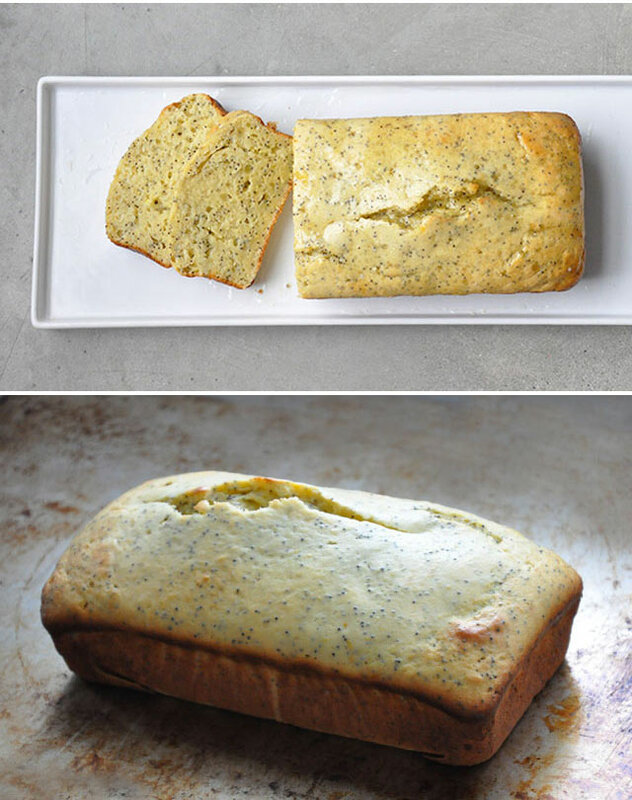 Sift together flour, baking powder, and salt and poppy seeds into one bowl. In another bowl, whisk together yogurt, 1/2 cup sugar, eggs, lemon zest, and vanilla. With a spatula, fold the coconut oil into the batter, making sure it’s all incorporated. Pour the batter into the prepared pan and bake for about 45 minutes, or until a toothpick comes out clean. Then, simmer 1/3 cup lemon juice and the remaining 1/3 cup sugar in a pan until the sugar dissolves. When the cake is done, cool for 10 minutes. Poke holes in the cake with a skewer, then while the cake is still warm, pour the lemon-sugar mixture over the cake and allow it to soak in. When the cake is completely cool, combine confectioners’ sugar and lemon juice, pour over the cake. Garnish with toasted coconut and lemon zest if desired.